Is the legalization of marijuana in most states inevitable? 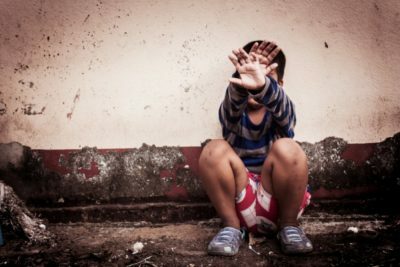 How will legalization affect children, adolescents and young people? How does using pot really affect the human body? How does it affect the developing nervous system and emotional functioning of adolescents and young people? 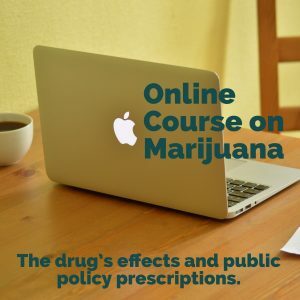 There is more talk, opinion, and debate than ever before about the pros and cons of marijuana, leaving people confused by discussions that can be politically and emotionally charged. 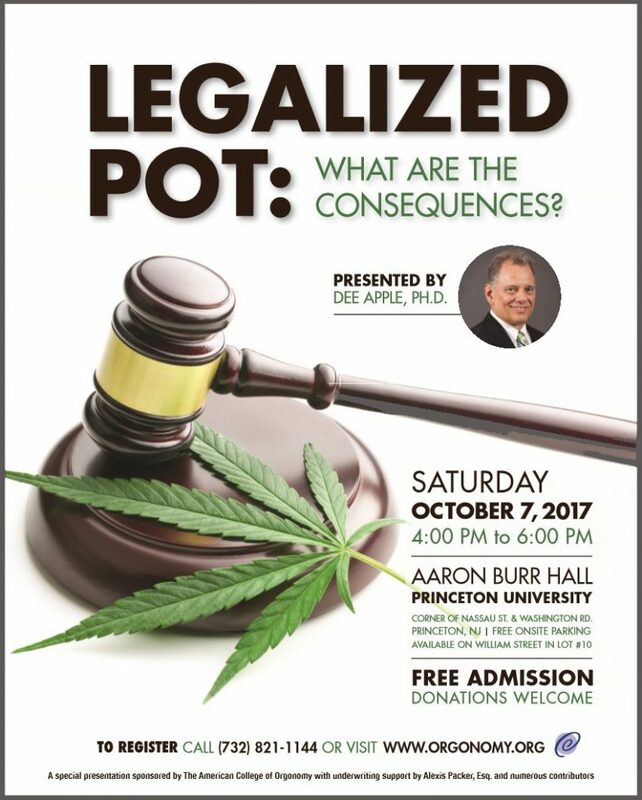 For a discussion based on the straight facts, join Dee Apple, Ph.D. for “Legalized Pot: What are the Consequences?” a presentation on Saturday, October 7, 2017 at Aaron Burr Hall, Princeton University, Corner of Nassau Street and Washington Road, Princeton, NJ from 4:00PM to 6:00PM. Admission is free. 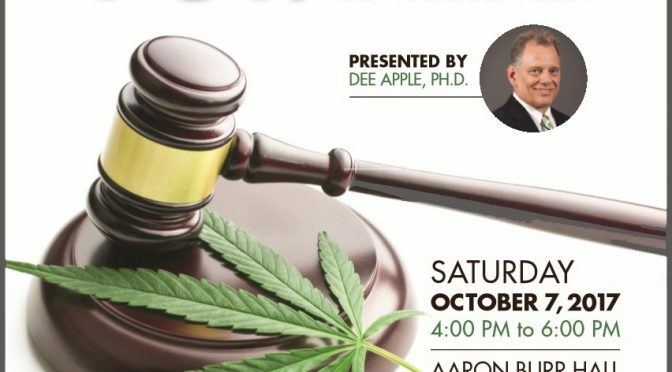 Dr. Apple will be sharing the latest scientific information about marijuana and clarifying many misguided myths from his perspective as a clinical psychologist with over forty years on the front lines working with adults, adolescents, and young people who have battled substance abuse problems. Included will be discussion about medical marijuana; how pot effects cognitive and social development and functioning; performance degradation such as its effects on driving, and much more. Dr. Apple graduated from the University of North Carolina with a B.A. in Psychology, and received his M.A. degree and Ph.D. from the University of South Dakota. 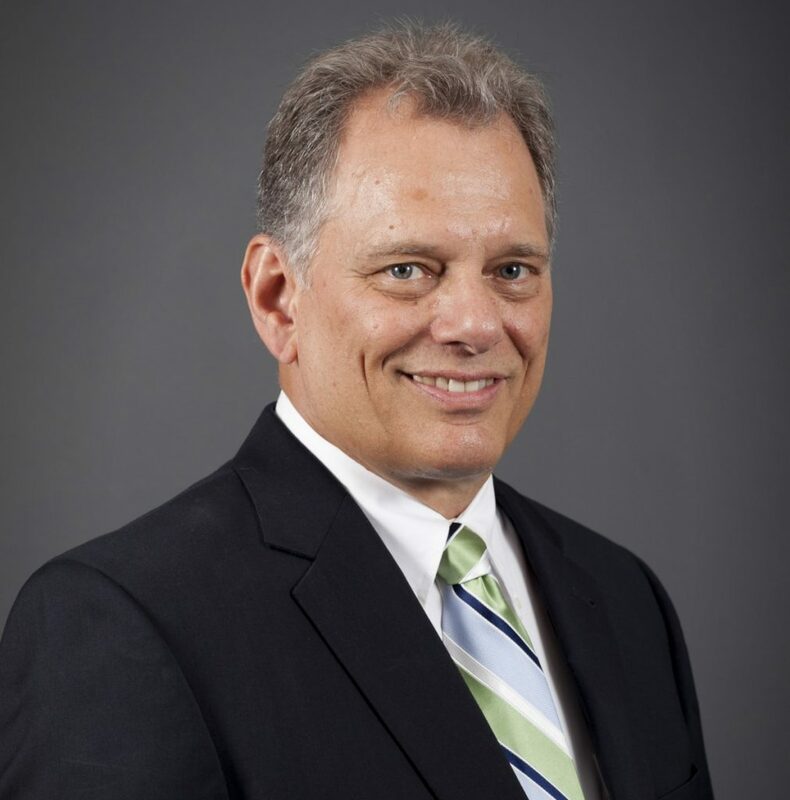 Dr. Apple is a licensed clinical psychologist in private practice in Princeton, director of psychological services at the Lawrenceville School, and consulting psychologist at the Office for Disability Services at Princeton University. He is a Clinical Associate of the American College of Orgonomy (ACO), on the faculty of the ACO’s social orgonomy training program, and also director of the ACO’s CORE research group. He has spoken on a wide range of topics as well as published numerous articles in the Journal of Orgonomy. Admission is free thanks to the generosity of supporters. Suggested adult, non-student donation is $45. Reservations are recommended. Call (732) 821-1144 or make your reservation online by visiting www.orgonomy.org. Apple, W. B. & Ryan, Richard. (2012). Clearing the Air: Facts & Fictions about Marijuana. Presentation at Series of Social Orgonomy Presentations, American College of Orgonomy, March 31. The role of marijuana in inducing individual and social chaos: A bioenergetic perspective. Presentation at the Annual Scientific Conference of the American College of Orgonomy. October, 1999. (Also published in the Journal of Orgonomy). Apple, W.B. (1997). The Lawrenceville School Student Drug and Alcohol Survey. Presentation to the faculty and administration. September, 1997. Apple, W.B. (1996). A mother’s question about marijuana. Journal of Orgonomy, 30(2), 200-202. Apple, W.B. (1995). Marijuana use in adolescence: An Orgonomic Perspective. Journal of Orgonomy, 29(2), 100-115. The American College of Orgonomy (ACO) is a nonprofit educational and scientific organization located near Princeton, New Jersey, that is devoted to setting and maintaining standards for work in the field of orgonomy, the science developed by Dr. Wilhelm Reich.The College conducts a postgraduate medical orgonomy training program for qualified physicians and psychiatrists. Medical orgonomists offer a unique form of treatment that is based on a scientific understanding of the connection between the mind and the body. This approach effectively treats a wide range of emotional illnesses, usually without medication. Elsworth F. Baker, M.D., a psychiatrist who trained and worked with Dr. Reich, founded the ACO in 1968. Reich, a student and colleague of Sigmund Freud, discovered that all living things contain an energy that he called, “orgone energy.” He originated the science of orgonomy based on his scientific observations. Today, this science informs an energetic understanding and approach to psychiatry, medicine, biology, the physical and social sciences, and atmospheric environmental research. The ACO also offers its Social Orgonomy Training Program which applies orgonomic principals to the social realm. In addition to its professional educational programs, the College sponsors conferences, a speakers’ bureau, lectures, and laboratory courses for professional and interested laymen. The ACO conducts and supports basic and applied research, publishes The Journal of Orgonomy, a newsletter, and is a source for books about orgonomy.